This feature is an excerpt from Unwinnable Monthly #105. If you like what you see, grab the magazine for less than ten dollars, or subscribe and get all future magazines for half price. 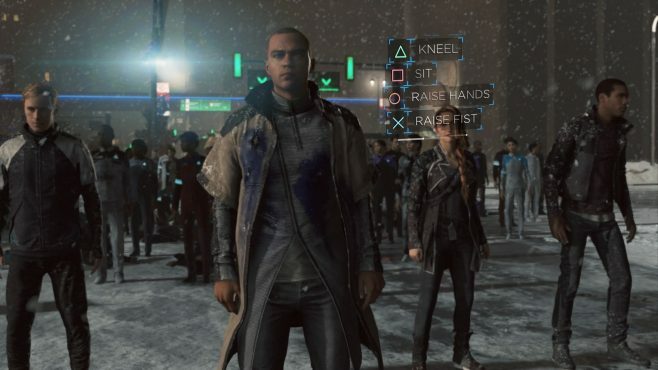 Linking a story about androids to racism and xenophobia might have seemed like low-hanging fruit to David Cage when writing Detroit: Become Human. After all, if you want to tell a story about the fear of otherness and the consequences of that fear, you only have to look to history. As soon as I started to conflate the experience of real-world minorities with Cage’s racial allegory, however, I discovered an offensive and downright harmful misunderstanding of what causes racial tensions. It’s one thing to attempt to do this subtly, but from the very starting screen to Detroit’s conclusion, Cage hammers the point home with direct quotes and visual comparisons to real-life events. If Cage never misses an opportunity to inform me of the immense responsibility of deciding the future of a people, then I get to tell him about all the ways the allegory he bases his game on doesn’t hold up. 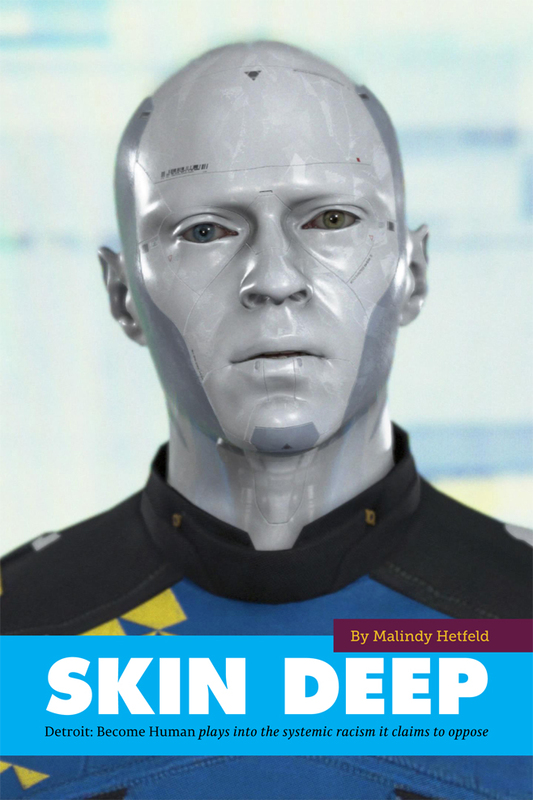 Malindy Hetfeld is a writer for hire who lives on a diet of serialized drama podcasts and Japanese pop music. You can find more of her work around the internet or listen to her rant on Twitter @yourkyotowife.